Chris Schacht (pronounced "Shot") is a secular humanist concerned with issues of equality, social justice and a need for Australia to become a fully secular democracy — with a clear separation between Church and State. He believes that governments will come under increasing pressure to act on progressive social policy, given the level of broad public support, and results from the 2016 Census of Religious Affiliation. 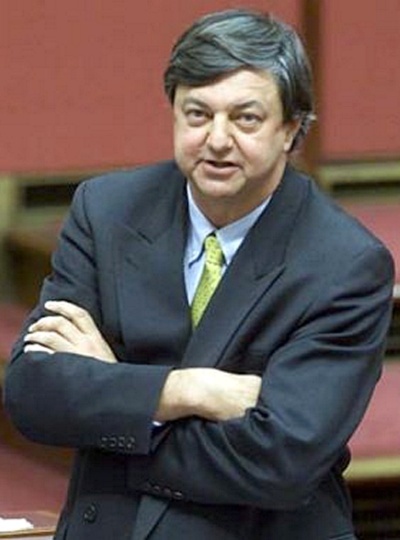 As a former Senator for 15 years (1987 to 2002) Chris has spent more than 30 years actively engaged in Australian politics. He has served in government in many capacities, including as Minister for Science and Minister for Small Business, and he is recognised for his pursuit of progressive legislation. Post-Senate, Chris is a political adviser, journalist and political commentator. He became a registered lobbyist and has been involved in the promotion of the wine industry, biotechnology, and trade with China – becoming Chairman of the Australia China Development Company. Chris endorses the need for Australia to actively support secular organisations that promote and lobby for a positive secular agenda. He believes it is necessary to overcome the political and social conservatism that has allowed this country to fall well behind other nations on secular issues that include marriage equality and voluntary assisted dying. He has a passion for internationalism and for human rights, and believes the time is right to focus on contemporary social policy. Only by active public participation can we advance the principles of social justice and decrease the influence of religion and pseudoscience in education, and from the whole political process of state and federal government.